The Artist of the Week celebrates resilience, achievement and success within Years 7-13. Many congratulations to all of our Artists of the Week. 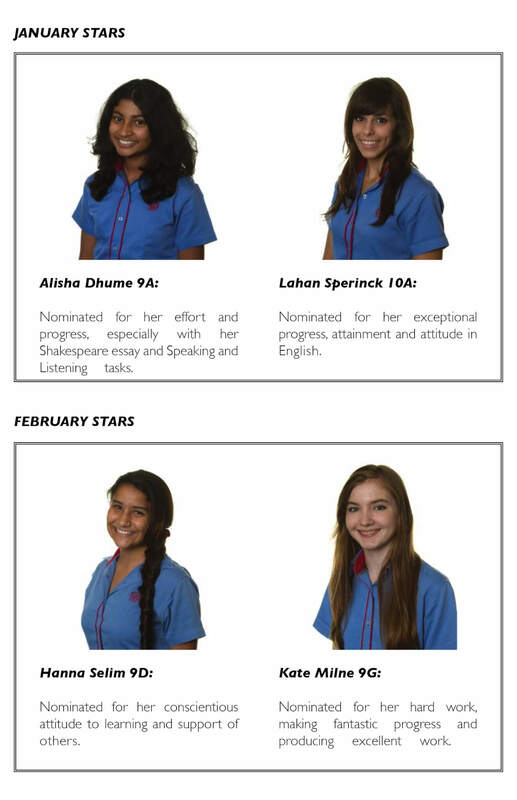 The new year saw the launch of the English Department’s internal award of “Star of the Month”. Students are nominated by their teachers for their commitment to their studies.